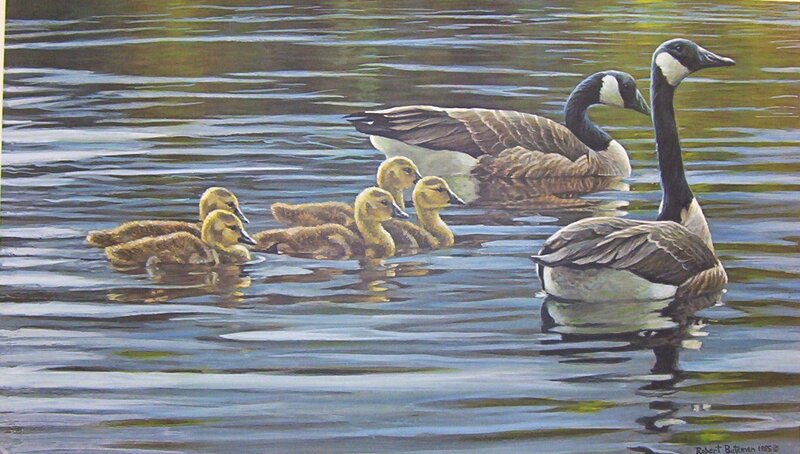 " CANADA GEESE WITH YOUNG "
" Geese and swans are famous in the animal kingdom for their faithfulness as partners. to moose, the male is not needed. season after season. It has been said that if one of the pair dies, the other will not mate again. on the eggs and generally stays near the young after they have hatched. of role playing. They are simply enjoying being young."